As we enter a new year, I would like to challenge you to look carefully at the quotes below from a number of the Founding Fathers of our nation. In the infancy of this “Grand Experiment,” known as the United States, it was well understood that we would succeed only if we remained committed to our religious and moral principles, and the precepts contained in the Bible. John Adams, in a speech to the military in 1798, warned his fellow countrymen stating, "We have no government armed with power capable of contending with human passions unbridled by morality and religion . . . Our Constitution was made only for a moral and religious people. 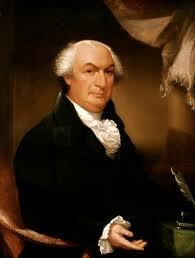 It is wholly inadequate to the government of any other." 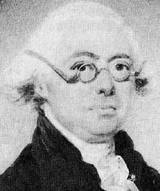 John Adams was one of the original signers of the Constitution. 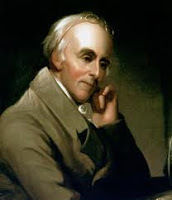 Benjamin Rush, signer of the Declaration of Independence, said, "[T]he only foundation for a useful education in a republic is to be aid in religion. Without this there can be no virtue, and without virtue there can be no liberty, and liberty is the object and life of all republican governments. Without religion, I believe that learning does real mischief to the morals and principles of mankind." Noah Webster, author of the first American Speller and the first Dictionary, said, "[T]he Christian religion, in its purity, is the basis, or rather the source of all genuine freedom in government. . . . and I am persuaded that no civil government of a republican form can exist and be durable in which the principles of that religion have not a controlling influence." Fisher Ames, author of the final wording for the First Amendment wrote, "[Why] should not the Bible regain the place it once held as a school book? Its morals are pure, its examples captivating and noble. The reverence for the Sacred Book that is thus early impressed lasts long; and probably if not impressed in infancy, never takes firm hold of the mind." John Jay, Original Chief-Justice of the U. S. Supreme Court , said, "The Bible is the best of all books, for it is the word of God and teaches us the way to be happy in this world and in the next. Continue therefore to read it and to regulate your life by its precepts." James Wilson, signer of the Constitution, and U. S. Supreme Court Justice, said, "Human law must rest its authority ultimately upon the authority of that law which is divine. . . . Far from being rivals or enemies, religion and law are twin sisters, friends, and mutual assistants. Indeed, these two sciences run into each other." Noah Webster, author of the first American Speller and the first Dictionary stated, "The moral principles and precepts contained in the scriptures ought to form the basis of all our civil constitutions and laws. . . All the miseries and evils which men suffer from vice, crime, ambition, injustice, oppression, slavery, and war, proceed from their despising or neglecting the precepts contained in the Bible." 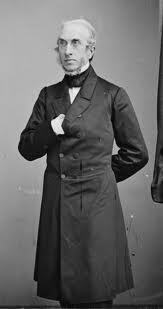 Robert Winthrop, Speaker of the U. S. House, said, "Men, in a word, must necessarily be controlled either by a power within them or by a power without them; either by the Word of God or by the strong arm of man; either by the Bible or by the bayonet." George Washington, General of the Revolutionary Army, president of the Constitutional Convention, First President of the United States of America, Father of our nation, said, "Religion and morality are the essential pillars of civil society." 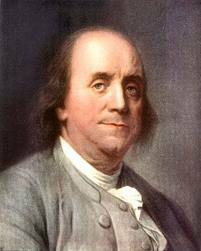 Benjamin Franklin, signer of the Declaration of Independence, said, "[O]nly a virtuous people are capable of freedom. As nations become corrupt and vicious, they have more need of masters." Our Founding Fathers firmly believed in God, and they knew that for our American society to function properly, we would need to be a religious and moral people. This works best when each of us makes the decision to be that kind of person. The night Jesus was born is traditionally viewed as having been such a holy birth that all of creation (except the human race) was hushed in awe. This is quite possible, and I have no doubt it happened just that way. But I also believe there was a whole lot of noise going on at the same time. “180 years ago the carol ‘Stille Nacht! Heilige Nacht’ was heard for the first time in a village church in Oberndorf, Austria. The congregation at that Midnight Mass in St. Nicholas Church listened as the voices of the assistant pastor, Fr. Joseph Mohr, and the choir director, Franz Xaver Gruber, rang through the church to the accompaniment of Fr. Mohr's guitar. On each of the six verses, the choir repeated the last two lines in four-part harmony.” From Bill Egan, a foremost scholar on “Silent Night,” and a Christmas Historian. This explains the background of the famous Christmas carol. First, Joseph and Mary had just completed a rather arduous journey by traveling some fifty miles from Galilee to Bethlehem, all the while Mary is near the end of her pregnancy. Because they were required to register for the Roman census, they were on the road with countless other people, all attempting to make it to their homes of record. I imagine the roads were a mess and nearly full of travelers. Second, Bethlehem, like every other city and town of that time, was overcrowded because of travelers and those who were simply trying to be sure that they and their family were registered. People were running into each other that had not seen each other in many years. There would have been loud talking and some sharing of wine well into the night as stories rolled off loosened tongues. But they were all oblivious to what was taking place in a manger of a dry stall only a short distance away. Fourth, and last, all of heaven was rejoicing because the plan to redeem the human race from sin and death was underway. As I mentioned in last week’s article, “When God Sings,” there was no doubt that those angels who were not part of the group that was singing to the shepherds were certainly singing in the halls of heaven, along with every other resident of heaven. Now that would be worth hearing! Some of you may be objecting, saying, “What about the cows, horses, sheep, etc. Wouldn’t they be adding to the din of that night?” No, not really. You see, a manger is a wooden or stone box used to feed livestock. If the inn keeper suggested that Mary and Joseph sleep in the stall that had a manger, it must have been empty of critters and the manger void of feed. Otherwise, it wouldn’t make sense for them to stay in cramped quarters with domesticated animals that would also be eating from the manger. We know from the record that the baby Jesus was placed in the manger. So, where were the animals? Most likely they were being cared for on the outskirts of town that evening because of all the people gathering for the census. Sleeping arrangements were obviously hard to come by. As I mentioned earlier, I do believe that there was a time of absolute quiet in heaven that night as the reality of what God was about to accomplish settled over those gathered around the throne of God. While we humans were clueless of what God was doing for our salvation that long ago night, a verse of scripture seems most appropriate to the occasion: “The Lord your God is with you, he is mighty to save. He will take great delight in you, he will quiet you with his love, he will rejoice over you with singing” (Zephaniah 3:17). Have you been saved by the God who loves you? Who delights in you? Who quiets you with his love? Who rejoices over you with singing? If not, then accept Christ and his love into your heart now, today! Then you will be sure to have a Merry Christmas! Tonight our church held its annual Christmas program. This is always a fun time because the event is focused on the children in our church performing some rendition of the Christmas story. There’s plenty of singing of Christmas carols and recitations from the kids, a point in the program where you hold your breath wondering if they’re going to remember their lines. My part in the program was to lead the congregation in singing several of the Christmas carols, welcome everyone, and then give a brief message on Christmas. The title of my message was, “Does God Ever Sing?” In thinking about this topic, it struck me that God must sing a lot. Here’s what I mean. When God chose to create the universe it was out of a sense of joy simply to be creating something special because he could. Just as when any one of us creates something in our workshop, or kitchen, we get a kick out of taking things and creating something new, something different, something unique and special with our special touch on it. God knew there was a risk in creating beings that were like him. These humans could make wrong choices if presented with the opportunity. Presented with this possibility, God made a plan to rescue his most prized creation by coming to the world himself in the form of a man, just like the way he had created humans at the outset. Only this time God would offer himself to these humans. You see, they no longer loved each other as the reflection of God, but became suspicious of each other, distrusting, and violent in their attempt to protect themselves. God knew such a manner of living was detrimental to these special beings that had lost touch with him. So, when Jesus was born in Bethlehem two thousand years ago, the angels announced his birth to the lowly shepherds who had the graveyard shift with the sheep. God knew what he was going to accomplish, and he sang, and so did the angels of heaven. Shortly after, when Jesus was abused and violated by the very beings he had created, he was put to death on a crude cross. But to the surprise of everyone, Jesus rose from the grave after three days. The plan of salvation was now finalized – and God sang! Ever since that moment, each time one of these humans created by God place their lives in the care of Jesus, the entire heavenly host sings, and God leads the singing! God and the angels broke out in song over me when I trusted Jesus as my Savior on September 8, 1972. God has done everything to make it possible for you to come back into fellowship with him. Have you accepted Jesus? Has God been able to sing over you? If not, I can’t think of a better way to have a Merry Christmas in 2010! I must admit that I have enjoyed being a grandparent far more than I ever thought was possible. Yeah, this is an article about my grandkids! What makes it so much fun for us is that our grandkids live close by. Our daughter, Jenny and husband, Josh, with two-and-a-half year old, Brooklyne, live thirty miles from us. Eldest daughter, Laura and husband, Ken, with three year old, Alyssa, live less than a mile from our home. We also have two older grandchildren from Ken’s first marriage. Daniel and DeziRay live twenty-five miles away. So, we get to see all of them frequently. I’ve written before that we get to keep Alyssa overnight on Thursdays. This little girl is one of the most restless sleepers you’ll ever find! Sometime between one and three in the morning she will begin kicking and thrashing. Since Isaura (the grandkids call her Meema, and I’m Dandaddy) and I bracket her in bed we both end up feeling the effects of these middle of the night disruptions of what is supposed to be a tranquil nights sleep. Isaura has Fridays off so she can take care of Alyssa. On the other hand, I also take Fridays off, but I get up early to play golf with friends. Because I want to feel fresh on these mornings, I’ve started sleeping in the guest room just so I can get some sleep! This week on Friday morning I was dressed and saying goodbye to my wife when Alyssa woke up. Stretched out in our bed under the covers, through half-closed eyes, she looked at Meema and said, “It’s Good Morning time!” Just hearing her say this in her own way is proof positive that it is indeed going to be a good morning. Because of the 30 mile distance separating us from Brooklyne, Isaura and I do not see her nearly as much as Alyssa. This has caused Brookie to be unsure in her relationship to me. So this past Wednesday evening I was scheduled to watch Brookie while Jenny was teaching the high school class at church, and Isaura was leading a prayer meeting. Being of an entirely different temperament, Brookie will express her displeasure at the drop of a hat. When she saw her mom leave our house, she cried, wanting her mom to come back. No sooner had she settled down, but Isaura left for her church prayer meeting. Once again, tears. As she stood off from me about ten feet, surveying me with considerable uncertainty, I asked her if she’d like to make some cookies. She shook her head no. How about baking a cake, I asked? Again, the negative headshake. Let’s play Lego’s, I offered. Wanna play Lego’s? Again, no. Not to be put off, I walked into the kitchen and prepared to make something which would satisfy my sweet tooth. I pulled down a box of white cake mix, and a box of brownie mix. Brookie was sitting at the Lego’s table showing little interest in the popular blocks. I, on the other hand, had music playing on the radio, humming along as I mixed the recipes in separate bowls. Out of the corner of my eye I noticed Brookie standing by the sink watching me. I asked her if she wanted to help me. She shook her head, yes. I told her to grab the “steps” (the folding step stool) and open it in front of the counter where I was working and climb on up. I let her lick the beater and scrape the bowl where I had mixed the brownies. After washing the beater, we mixed the cake mix, and again, I let her lick the beater and bowl. I washed up the dishes whereupon I was confronted by Brookie telling me she wanted me to read her a book. As she sat on my lap, I read a children’s version of several Bible stories. After reading three books and taking the baked items out of the oven, Brookie decided I was now her personal Jungle Gym! When my wife came home, she asked Brookie if she wanted to take a bath. With great excitement in her voice, she said, “Yeah!” So I was given a reprieve for about thirty minutes. After her bath and back downstairs, she looked at me coyly, and said, “Can’t catch me!” Round and round we went. Each time I would catch her I would pick her up, flipping her upside down so she would be above my head. And each time I put her back down, she’d say, “Do it again!” I lost count as to the number of times I lifted her that way, but I haven’t had a shoulder workout like that in some time! Her mom finally came through the front door. Brookie and I couldn’t see the door, so I said, “Brookie! Is that your mommy?” She cried out, “No!” I thought she might have misunderstood, so I said it again. And again she cried out, “No!” Then it hit me! Brookie was having so much fun that she didn’t want to stop. The arrival of her mother meant they would be going home. Her mother assured her they would not leave right away. So we all had a piece of cake, a brownie and a glass of milk. One last story about Alyssa: On Thanksgiving, we all gathered around the table prepared to consume copious amounts of turkey, stuffing and the rest. But before we ate, we all joined hands in prayer. On every other occasion I would be the one offering the prayer. Before I could say anything, it was suggested that we allow Alyssa to say the prayer. “Why not?” I said. I looked at Alyssa and nodded for her to pray. This was her prayer: “Dear Jesus, thank you for the food. Thank you for the whole wide world! In Jesus Name, Amen!” Instead of then offering the adult prayer, which would send the signal that her prayer wasn’t really legitimate, I thought, “I can’t improve on that prayer!” So instead, we got down to the business of eating. Isaura and I are so blessed with these precious little ones. They truly are a gift from the Lord! Do you get the feeling we’re being played for the fool? There has been an enormous amount of time and energy, not to mention newspaper ink, spent on the current TSA attempt to make our airline travel more secure. Are you feeling safer? Understand something here. I don’t have a beef with the TSA workers. I have written about them before. Theirs is a tough job. You couldn’t pay me enough to do that job. But having traveled a lot over the past five decades, both for the military and on church mission trips, I am very familiar with airports. Making my flights, dealing with delays, switching airlines, and so forth, is part of the overall experience of flying the friendly skies. For several years prior to 9-11, I was assigned to a Marine command at Camp Pendleton in Southern California. My routine on drill weekends was to drive the 80 miles from my home to the Sacramento Airport, catch a direct flight to San Diego, pick up a rental car and drive 35 miles north to Camp Pendleton. Leaving my house and arriving at my BOQ room at Pendleton took between 5-6 hours. After 9-11, an additional one-to-two hours was tacked on due to security reasons. Since I could now drive to Pendleton in the same amount of time as flying (plus I could avoid all the security hassles, and I could carry more in my car than on the plane), I began driving to my drills. After returning from the war, I was assigned to the 4th Marine Aircraft Wing (4thMAW). The headquarters of the command is located in New Orleans. So I was back to flying with all of its inconveniences. But I can’t shake the feeling that there’s some sleight of hand work going on here. You know how that works. The magician is distracting you with one hand, while the other hand is doing something else, unnoticed. Here’s what I’m driving at. The enemies of our country, in particular, Muslim extremists such as Al-Qaida, the Taliban, Hezbollah, and other nefarious groups of hate-filled religionists, are yanking our chain, getting us to dance to their tune. Consider that the planes flown into the Twin Towers, the Pentagon and a farmer’s field in Pennsylvania changed the way you and I travel by air. 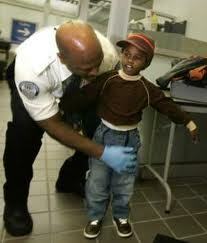 We were then introduced to the TSA and their security checks at the airport. Then there was the “Shoe-bomber.” This failed-attempt at blowing up an airplane by lighting a fuse to a bomb-laden shoe prompted the TSA to have us remove our shoes for screening as part of the precaution. More recently we had the “Underwear-bomber.” This has brought about body pat-downs; then the more invasive forms of what could only be called nothing short of a “strip search.” Where does this end? When will we see security checks for trains? Subways? Buses? What has happened is exactly what I feared. We’re watching one hand while the other is doing something far worse! We, the American people, who are simply going about our daily business, are being subjected to treatment we don’t even permit our enemies to suffer. That’s the “hand” we do see. The other hand that we don’t see is in two parts: First, we are not aggressively pursuing the terrorists who have intentionally caused us these inconveniences. Instead, for fear of appearing “unfair” to the rest of the world, we have moved the known killers of the victims of 9-11 and our soldiers in battle, out of Guantanamo Bay (a.k.a., Gitmo for short) and into the United States where the first of these killers has been tried and found not guilty on the most serious charges! How does that bode for the rest of the Gitmo detainees? They’ve gotta like their chances! Second, the Taliban and Al-Qaida are laughing themselves sick over our fear of what they might do next. The jokes of how they have caused our great nation to cower because of shoes and underwear must be running rampant throughout the terrorist world. All the while they are planning something else entirely to bring about our destruction. I, for one, am not interested in being bullied, harassed and intimidated by these thugs who hate everything about us and our freedoms. They do not want to “make nice” with us. They want us dead. What is wrong with us that we tolerate such intimidation? How is it we allow these clowns to yank our chains? Here’s my proposal: We go about our daily lives without building in the numerous inconveniences that cause us to feel like we’re the villains. In the meantime, organizations within our country that were established to go after bad guys (military, FBI, CIA, etc) should be allowed full reign to tenaciously pursue these creeps until they have found, killed, or captured every single one of them. These terrorists should be in such fear of us coming after them that they simply would not be able to rest. Why should a relative handful of terrorists be allowed to hold a nation of 310 million people hostage? We’re Americans! You and I are not the bad guys. Let’s stop being manipulated. Let’s stop distrusting each other. Let’s start going after the real bad guys! I got to thinking about the tax system in our country. I have known for a long time that those who make the most money pay the most in Federal Income Tax. Over the years I’ve heard how the “rich” don’t pay their fair share; that they have ways of hiding their money; that they get special tax breaks, while the rest of us poor slobs carry the tax burden! Is this true? Let me fill you in on my research. Did you catch that? “In 2009, 47 percent of all filers paid nothing.” Which 47 percent does not pay? “Millions escape filing because their incomes are too low.” Our U.S. population is right at 310 million (or 4.5% of the world’s population). About 200 million are adults eligible to be in the workforce. So roughly 100 million are paying income tax for a nation of 310 million. So, do the “rich” really get a break? Not according to my research. They have opportunities of protecting their money through investments to a certain degree, but income is income and must be reported. Audits are conducted to make sure income is properly reported and taxes are paid on that income. Are the “rich” paying their fair share? Yes and No. Yes, because they are paying a lot of taxes, and No, because they are paying way more in taxes than the rest of us. In 2008, the top 1% of filers paid 38% of all federal income taxes. To qualify for the top 1% of earners, you needed to have income of at least $380,354. The top 10% of filers with income of $113,799 or more paid 69.9% of the total federal tax burden. News Flash! The top 1% of filers are currently in the 35% tax bracket. For 2011, their tax bracket is scheduled to be increased to 40%. This is why the “flat tax” is strongly supported by those who are wealthy. They won’t have to pay as much income tax! How does this work, you say? Simple! Let’s say the government comes up with a flat tax rate of 20%. Everyone, the rich and the not so rich, would pay 20% of their income in taxes. So if Daddy Warbucks makes one hundred million this year – he would pay twenty million in taxes, while at the current rate of 35%, he would pay closer to thirty-five million. Still think the rich should pay more in taxes? Do you really want a flat tax? Be careful of falling into the “Class Warfare” trap. Politicians are great at using this to their advantage. Those who are not wealthy and are not familiar with big money and how it works, often fall prey to the fires of resentment fostered against those who make a whole lot of money. One of the reasons the United States of America is the great country that it is has to do with the Free Enterprise system, which allows anyone the opportunity to not only earn a living, but to make as much money as they can, given time, talent, and opportunity. Those who make a lot of money are most likely to take that money, reinvest it, which in turn generates business growth, which then creates jobs for the rest of us. When Big Government gets in the way by demanding more taxes from the rich, the money used to reinvest is squirreled away which has the opposite effect: businesses suffer, and jobs are lost. Also, when business owners feel the pinch from the government, they tend to put their profits back into their businesses. Seems like an okay thing to do, except that it raises the cost of the item they are providing, which means you, the paying customer, are paying more for the item. We don’t call that a tax, but it might as well be! One last thought! Many of our elected officials at the federal level are millionaires. Of the two major political parties, which one do you think has the most millionaires? If you said, “The Democrat Party,” you would be correct. If you said, “The Republican Party,” then you’ve been duped into believing the mantra that they are the party of the rich. Neither party is exactly standing in the bread lines, but just be careful of what you accept as fact. ‘Tis a true saying, “Death and taxes are unavoidable.” However, the answer to our tax problem is not to tax the rich to death, but to force Big Government to spend less. A mere thirty miles from where I live in California, a 13-year-old school boy this week was told by school authorities that he could no longer fly an American flag from his bicycle. The reason? It might cause racial tensions with other students who complained that they found this display of the American flag and patriotism offensive. Political Correctness strikes again! I suspect Cody Alicea is one of many young people throughout our nation who is proud of the American flag and displays it in any number of ways. Just to be sure, I researched the proper etiquette and protocol of displaying the American flag. The Rule Code for Flags states "More than simply a piece of fabric, a national flag represents the nation as a whole, and is an important symbol of national identity." Cody had been flying the flag from his bike to and from school for the past two months. School officials decided to clamp down on this young man during Veteran’s Day week. And these are the people responsible for teaching our children? In my research to see if there is any substantive argument against Cody flying the flag from his bike, I found nothing which would in any way demean or denigrate the flag. I might add that I have had a fair amount of experience in handling the American flag. My step father served in World War Two as a Marine. Love of country was unquestioned in our household. In 1960 his business took us to Paris, France, and then from ‘61-‘63 we were in Oslo, Norway. Many times we wanted to display our American flag, but because we were living in another country I understood that it would not be appropriate to offend the citizens of that country. In Paris, we lived on the 14th floor of an apartment building overlooking the Seine River. During the spring and summer, the height of the tourist season in the “City of Lights,” standing on the terrace, we would often drape our American flag from the railing in the evenings when the tourist boats cruised by. We would wave frantically at the boat and flutter the flag. The boat captains would shine their search lights directly on our flag, which always got a cheer from the Americans on board. Then we would take the flag back inside. That was about the extent of our flying the flag while abroad. Later as a young Marine stationed at Camp Pendleton, I served with a guard unit. One of my responsibilities was to head up the detail responsible for raising and lowering the colors each day. This is done with precision. And just to make it a bit more tense, the Commanding Officer would stand looking through the window of his office, not more than thirty feet from where we raised the flag each morning, and observe every detail of our execution. Believe me when I tell you that I drilled my Marines in the proper way of handling the flag! I literally threatened them with bodily harm if anything went wrong, because I did not want to have to stand in front of my commanding officer. As a Navy chaplain, I have officiated in many military funerals. At times, when we were short-handed, besides performing the religious ritual, I might have to assist in folding the flag taken from the coffin, and/or present the folded flag to the loved one. So, my first thought in reading this story about Cody was, “Has he done something inappropriate?” The answer is, “No.” He is a young teenager who is proud of his country and the military service of his grandfather. Flying the American flag from his bicycle is a natural expression of that pride. In writing this story, I have contacted a friend in DC who has assured me that Cody will be given a tour of the White House when he visits our Capitol next spring. Cody, keep flying that flag! We’re proud of you! I just could not pass up the opportunity to recognize two special days in the year. Most people are familiar with one, but not the other. 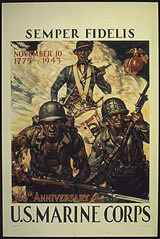 November 11th is, of course, Veterans Day and has been since the end of World War I. Originally it was known as Armistice Day announcing the end of World War I, but was later changed to Veterans Day following World War II. This is a day when we recognize and honor those who have served in the military throughout our nation’s history, both living and dead. Folks often confuse Veterans Day with Memorial Day. As the word “Memorial” implies (in memory), Memorial Day (Originally Decoration Day) is a time when we honor those who have died while serving in the military in the defense of our nation. So, besides Veterans Day, there’s a second day: November 10th, the birthday of the United States Marine Corps. Granted, this may only seem to have importance to Marines and their loved ones, but wait! Though other branches of the military have birthday dates, and they are earlier than the Corps by a matter of months, the history and traditions of the Marine Corps are part and parcel of the legacy that surrounds the Marine Corps. There is not a Marine alive today who does not know that November 10 is the birthday of the Corps! Ask ten people who have served in the Army or Navy what the birthday of their service is, and I would venture to guess that, at best, three of 10 might know. Now ask ten Marines the same question and you will have ten out of ten say November 10. As things often align in life, Ramon Vasquez, the young man I wrote about a couple of months back, graduated from Marine Corps boot camp on October 29th, meritoriously promoted to Private First Class (PFC). He then came home for ten days. My, how proud our church family is of this young man! So the other day his step father, Tony Boyce, asked me if I’d join them in a round of golf. I suggested we have a fourth join us. So I called my friend, Bill Singleterry. I was particularly anxious to have Ramon meet Bill because Bill is a former Marine who saw a lot of action during World War II. Marines know their history, and particularly the history of the Corps. With so many of our WWII veterans leaving us, I thought it would be a wonderful opportunity for Ramon to personally interact with a man who served during a period of time when the legacy of the Marine Corps was being reestablished as a premier amphibious fighting force. So, this morning we four met and had a wonderful time playing golf, but more importantly, Ramon got to spend time with Bill. Later, we enjoyed lunch together, delving into Bill’s Marine Corps experiences. After Tarawa, Bill’s unit participated in the Battle for Saipan, then Tinian, and finally Okinawa. He was back in Saipan preparing to be part of the huge invasion force that would attack mainland Japan, had President Truman not decided to drop the atomic bomb on Hiroshima and Nagasaki. Conservative estimates say that some 1.5 to 2 million American lives were spared by dropping the bomb. On November 10th, Marines raise a glass to men like Bill Singleterry. On November 11th, the rest of the nation honors all who have served our nation. Remember: Freedom and liberty come at a high price! A couple of weeks ago I drove to Eugene, Oregon along with my wife and sister. The purpose of this sojourn was to attend a rather unusual reunion. Overseas Brats is an organization that was formed twenty-five years ago strictly for the purpose of reconnecting with people you once knew while attending a school for military kids somewhere around the world. Officially, these schools come under the Department of Defense (DOD), providing an American style school for military kids whose parent is stationed in a foreign land. This could be Africa, Asia/Pacific, the Americas, the Middle East, and Europe. Allow me to explain why this is important. Military brats, as they are frequently called, often attend a number of different schools outside of the United States during the course of their parent’s military career. Exposure to different cultures and climates are part of the overall experience of brats. A tour of duty for the parent typically lasts from one to three years. Because kids are thrown together from all over the United States in DOD schools far, far away, they learn to make friends quickly, knowing that, at best, they will have three years together! They may run into each other again somewhere around the world, but the odds are against it. So, even if they haven’t spent much time together, there is a bond develops transcends time and distance. My sister, Joy, and I attended the Oslo American School (OAS) in Norway from 1961-63. I was in 8th & 9th grades and Joy was a grade behind. Despite the fact that our dad was a civilian (working for an American corporation) the school gave us permission to attend OAS. And we weren’t the only non-military kids there. But I have to tell you, those were some of the best times Joy and I ever had! Going to school was fun because we were constantly exposed to new and different things. You met kids who already had developed a level of maturity because of their travels and military environment that you did not see in kids back in the States. Besides having to study Norwegian, we often had coordinated events with the local Norwegian school next door to ours. We would go on ski trips together on the weekends, or play ice hockey (a huge sport in Norway), or go to the movies at night during the summer, only to exit the movie house late in the evening and the sun was still up! Conversely, in the winter we went to school in the dark and came home in the dark! That’s what happens when you live that much closer to the North Pole. But what I enjoyed the most was the Friday Night Teen Club. We would gather at the American Embassy in the basement with someone acting as a DJ, spinning 45 rpm records. We danced to all the latest hits. The guys wore slacks and buttoned-up shirts with a tie and sport coat, and the girls wore dresses. Parents and teachers acted as chaperones for the evening. We bonded with so many of those kids that hardly a day goes by that I don’t find myself thinking about one of them. So a few years ago, Joy told me about this organization of Overseas Brats holding these reunions around the country. She had managed to keep in touch with some of the kids from our time in Oslo, so I was aware there was something going on. But between my responsibilities as pastor to my church, and my role as a Navy chaplain in the reserve, traveling to a reunion was not on my priority list. My wife was curious about this group because she had heard me talk about them over the years. We had beautiful weather the whole week we were gone. We spent the first three days in the Hilton Hotel in Eugene, getting reacquainted with brats we had known, and with brats we never knew before. It was particularly fascinating to meet the spouses of those brat friends you last saw when they were teenagers! We chatted on about careers, grandkids, and ailments! Lots of activities and entertainment were planned. One of the evenings we had a delicious dinner at Lane (County) Community College, hosted by the students of the Culinary Arts program. Entertainment during dinner was an Elvis Presley impersonator, one of the best I’ve ever seen. It was a wonderful evening, and those of us who had not seen each other in decades enjoyed getting caught up with each other’s goings-on, and renewing our friendships. I’m hoping to attend more of these get-togethers, both to revisit those we spent time with at this reunion, and because there were so many more who were unable to attend. Oh, yeah! If you happen to be an Overseas Brat, but you didn’t know about this organization, or you know someone who is a brat and might be interested, tell them to connect with Joe Condrill at [joeosbpres@sbcglobal.net], or go to the web site [www.overseasbrats.net]. Joe is responsible for getting the ball rolling on this in the mid-80s. So, thanks, Joe! Here’s to good times and renewed friendships! Let’s not allow another 47 years to escape before we do this again! Well now! Is anyone really surprised that liberal news analyst Juan Williams was fired from National Public Radio (NPR)? Why was he fired? For expressing his feelings about seeing Muslims in an airport when he is flying somewhere. Specifically, he said that he gets "nervous" if he's at an airport and sees "people who are in Muslim garb." If you don’t know who Juan Williams is allow me to fill you in. Mr. Williams is one of a group of well-known liberal commentators who is employed by the Fox News Channel (FNC, or just Fox), a conservative news organization. Additionally, he has been employed by NPR’s news production department for the past ten years. He is also a black-American who has written extensively about the Civil Rights Movement, and the affects of racism and bigotry in America. Apparently, as a liberal you are anathema to NPR if you have any public associations with conservative news organizations. Personally, I disagree with most of the positions Juan Williams holds, particularly when it comes to political/social matters. However, I respect his opinions and his right to express them. It was my honor to have served in the military for 34 years defending his right to express those opinions. But what has happened to Mr. Williams is a travesty of free expression. He was not stating opinion during his dialogue with Bill O’Reilly on Fox News. He was expressing personal feelings he has when encountering “people who are in Muslim garb” and are in an airport while he is traveling, especially after 9-11. Having traveled extensively by air all over the world, I can appreciate his feelings. When I was in Iraq, the Navy enlisted man who was assigned to me was a Muslim. Knowing this, I had him stop our Humvee at a small mosque near the traditional site of the Tower of Babel near Babylon, Iraq to offer him the opportunity to pray. Several of us respectfully stood outside the mosque, engaged in conversation with some Muslim men while this Navy man entered the mosque to join in prayer with other Muslims. Was I apprehensive? Sure! We weren’t exactly welcomed with open arms, but they couldn’t very well deny a fellow Muslim, at least not without losing face in front of the rest of us; especially in front of me, a Navy chaplain with my gold cross on my collar. How would that look? I have also met with a number of Imams (Muslim clerics), pre- and post-9-11, over the years to engage in theological discourse, both here in the United States and in Muslim countries. My reception by these Imams has ranged from cool to warmly gracious. All of which is to say that because of 9-11 most Americans are at least apprehensive, if not downright fearful, of seeing Muslims in their traditional garb walking onto an plane. That is what Mr. Williams was expressing personally. In the discussion with Bill O’Reilly he went on to caution Americans not to categorize all Muslims as radicals. He’s absolutely right! He’s a reasoned thinker and has been done a grave injustice by NPR. You might be interested in knowing that NPR is the radio version of televisions Public Broadcasting Network (PBS). This organization was formed in 1970 and was almost entirely funded by federal funds (tax dollars). During the Reagan administration there was a strong move to pull back the federal funding and to have NPR and PBS move to listener-supported funding. Because of what has been done to Mr. Williams, several prominent politicians are calling for the removal of all taxpayer funding of NPR. We’ll have to wait and see if this is successful. But the amount is relatively small compared to the amount contributed by listeners/viewers. Should public support be stymied, NPR would feel it much more directly. “In October 2010, NPR accepted a $1.8 million grant from George Soros, given through his Open Society Foundation. The grant is meant to begin a project called Impact of Government that is intended to add at least 100 journalists at NPR member radio stations in all 50 states over the next three years.” Mr. Soros is a mega-rich liberal who wants to destroy Fox News Channel. That’s what is behind his donation to NPR. NPR’s CEO is Vivian Schiller. Ms Schiller called Mr. Williams earlier this week on the phone to inform him he was fired. Not even the courtesy of hearing his side of the story! No face-to-face meeting! How rude! “Schiller intensified the existing controversy over Williams' dismissal when she added that Williams should have kept his Muslim comments between himself and ‘his psychiatrist or his publicist—take your pick.’ Schiller quickly retracted her own remarks, stating, ‘I spoke hastily and I apologize to Juan and others for my thoughtless remark.’” Pardon me, but Ms Schiller should be the one out of a job, not Juan Williams. It will be interesting to see if NPR recants amid the uproar from across the country, and offers Mr. Williams his job back. Personally, I wouldn’t want it. But guess what the conservative Fox News Channel did for the liberal Juan Williams when they heard about his being fired by NPR? They gave him a raise! Hooray for Fox! As I have been reading through the various stories and articles surrounding this proposition, there are times that I want to laugh uproariously, and at other times I’m stunned by the sheer insanity of what passes for logic. Case in point: An article written in the Huffington Post (a.k.a., HuffPost - not exactly known as a conservative publication!) states that “illegal growers [of marijuana] in Northern California could suffer if marijuana is legalized and production spreads equitably throughout the state.” Excuse me? Illegal growers would suffer? Am I the only one who sees the extremely humorous disparity in this statement? Further, it is reported in this article from the HuffPost that the majority of Democratic lawmakers in California are in favor of the passage of Proposition 19. Their reasoning? They hope it will bring out the Progressive voters which would help turn back the predicted decimation of the current Democratic control of Congress. Now that’s rational thinking for you! Let’s pass a law legalizing a currently illegal substance which also happens to be a hallucinogen so we can win our elections and stay in office! “Marijuana is technically hallucinogenic, and can alter your perceptions and cause memory problems.” I think these Democratic lawmakers have been hitting the weed themselves! You can see why I am stunned by what passes for logic! Howard Jarvis of the 1978 Proposition 13 Taxpayers Initiative throws a note of caution into the mix when it comes to legalizing marijuana. “Prop. 19 would ban employers from drug testing employees for marijuana, allow for public marijuana use subject to certain limitations and would allow residents to establish small marijuana farms in their yards.” Now add this to the argument: “Law enforcement officials believe Prop. 19 endangers public safety with increases in marijuana consumption and increases in impaired driving.” Now that makes me comfortable! Will the police be allowed to do the equivalent of “breathalyzer” tests when a person is pulled over for driving badly? For your information, here are several high profile California politicians who are opposed to the passage of Proposition 19: Senator Dianne Feinstein (D), Democratic gubernatorial candidate Jerry Brown, Republican gubernatorial candidate Meg Whitman, Senate candidate Carly Fiorina (R), Senator Barbara Boxer (D), and Governor Arnold Schwarzenegger (R). Strange bedfellows, wot! A few of the other people and organizations opposed are: The League of California Cities, which is petitioning California cities to pass laws against marijuana usage; Gil Kerlikowske, the so-called "drug czar" in the Obama administration; The California Cannabis Association (Go figure! ); and Mothers Against Drunk Driving (MADD). The untaxed (read: illegal) growth of marijuana in California is a 14 billion dollar industry annually. If Proposition 19 passes, it would generate a 1.4 billion dollar tax surplus which would supposedly help our cash-strapped state awaken from its economic malaise. Sort of reminds me of all that money that was supposed to go to our state educational system when Californians passed the State Lottery years ago. This is more of the same inane logic being fomented on the voters of California: Pass this proposition because it will help our state with its financial woes! Yeah, Right! We’ve been duped before! So, what’s it going to be? Remember: California is also attempting to ban all cigarette smoking everywhere, including your homes and outdoors. But if Proposition 19 passes it will be perfectly fine to light up a joint and drive your car! “We the People” have been sending very strong messages to our elected officials during the past 18-24 months indicating that we are very perturbed and just a little bit ticked off by the arrogant and dismissive manner portrayed by the occupants of both houses of Congress. This being said, the Republican “Pledge to America” makes this cogent observation: “Washington has not been listening.” No kidding! The Pledge is broken down into six plans to restore America, particularly the manner in which a Republican majority plans to conduct the people’s business. This is presuming that the Republican Party manages to retake at least one house of Congress in November. When it comes to the Pledge, we’re talking about the Republicans regaining control of the House of Representatives. Should they equally gain control of the Senate, it would behoove the Senate Republicans to get on board with the House Pledge. Those six plans are: 1) A plan to create jobs, end economic uncertainty, and make America more competitive; 2) A plan to stop out-of-control spending and reduce the size of government; 3) A plan to repeal and replace the government takeover of Health Care; 4) A plan to restore Congress and restore trust; 5) A plan to keep our nation secure at home and abroad; And 6) Checks and balances. I will list each of the six plans and then offer a comment or two for your thoughtful consideration. 1) A plan to create jobs, end economic uncertainty, and make America more competitive. The promise in this plan is to “end the attack on free enterprise by repealing job-killing policies.” Small businesses that create jobs will be allowed to take a tax deduction equal to 20 percent of their income. The costly small business mandates contained in the new Health Care Law will be repealed. Are you paying attention to this, California! Stop killing small businesses! 2) A plan to stop out-of-control spending and reduce the size of government. “If we’ve learned anything over the last two years,” says the Pledge, “it’s that we cannot spend our way to prosperity.” Yup! Got that right! Among other things, the plan is to cancel the Troubled Asset Relief Program (TARP), and to reform Fannie Mae and Freddie Mac. Hallelujah! Now, do what you promise. Please! 3) A plan to repeal and replace the government takeover of Health Care. It has already been determined by the CBO (Congressional Budget Office) that the new Health Care Law cannot be sustained. The cost is prohibitive. The new Health Care Law will mean more financial pain for seniors, families, employers and the federal government. Besides repealing this law, they will end permanently taxpayer funding of abortion, and they will codify the Hyde Amendment (barring federal funds being used for abortion). Bravo! Thank you for standing up for the unborn and holding to the sanctity of human life! 4) A plan to restore Congress and restore trust. "The federal government is too big, it spends too much, and it's out of control" Boehner said. He acknowledged that "when Republicans were in charge of Congress" during the Bush years, "we made our fair share of mistakes." But now, he said, after listening to the American people for the past 20 months, "we get it, we get it." Do you get it, Mr. Boehner? I hope so. We’ll find out soon enough. The Pledge says, “We recognize that these solutions are ambitious, and that we are proposing them at a time of intense public distrust in politicians and the political system.” Quite right! 5) A plan to keep our nation secure at home and abroad. This conservative plan will serve as a check and a balance against any schemes that are inconsistent with the priorities and rights of the American people. Mr. Boehner, are you and your Republican cohorts as good as your word? “We the People” are counting on it. As I begin this article, Congress is set to recess so they can return home and attempt to rally their lagging supporters for the election which will be upon us in less than a month. Please note, however, that it is this same Congress that is leaving town without having passed (during the modern era) the budget for 2010-2011; without proceeding with the prosecution of two high-ranking members of Congress for ethics violations; and it is the same Congress that cannot agree on whether to allow the Bush Tax Cuts to continue on, or to fall by the wayside. Of all the bills brought before Congress this year, more than half were bills naming federal buildings, recognizing individuals or groups (like sports teams) for achievements, or supporting the designation of particular days, weeks, or months. In the midst of all this political tom-foolery, the Republican Party has come out with a renewed “Contract With America.” You will recall this was proposed and heartily accepted by “We the People” back in 1994. This time it is called “A Pledge to America,” introduced publicly on September 23rd by House minority leader, John Boehner (pronounced bay-ner), and the Republican House of Representatives Leadership. Being the curious type, I looked for this document on the Internet and downloaded it so I could read it for myself. It is not as voluminous as the various bills passed, such as the nearly 2000 pages of the Health Care Bill. This is a mere twenty-one pages. So I ordered an individual pizza and a soda and sat down alone at Pizza Plus to pore over the document. If you want to read it for yourself, you can download it at: http://pledge.GOP.gov. The following is what I have gleaned from my perusal. Next week’s article will be a continuation. This “Pledge to America” starts out with a single statement: “America is more than a country.” Hmmmmm. I liked the sounds of this already. So from the outset of this Pledge I see a return in word and in spirit to the original documents that established our nation as unique among nations. Another statement early in this Pledge says, “America is an inspiration to those who yearn to be free and have the ability and the dignity to determine their own destiny. Whenever the agenda of government becomes destructive of these ends, it is the right of the people to institute a new governing agenda and set a different course." We are awake, and we are watching. Well now! To date, this has been the most interesting mid-term election that I can ever recall. Seriously, can you call to mind a more important mid-term election? The ground swell of interest in the direction our country is heading is unprecedented. The national emergence of the Tea Party continues to baffle both pundits and politicos of every stripe. I love it! I have never seen people so interested in any election, mid-term or not. I mean, it’s almost our duty as American’s to not really care about off-year elections! The 2010 election is clearly breaking from the norm. Just to be clear about all this, I do not see people with seething anger, or even the slightest hint of racial biases, or even a loyalty to any political party. What I do see are Americans who are fed up with the foolishness that passes for the United States Government. The people we have elected and entrusted with the country’s business have violated that trust. Have they all failed us? No. But the system inside the DC Beltway is so broken that even the good ones we elect to Congress are immediately neutralized before they can get their briefcases unpacked on Capitol Hill. As you know, all 435 seats in the House of Representatives are up for reelection in November. Many of the talk shows on radio and TV have mentioned that there is such a grass-roots movement spreading across the land that every one of these seats are open. Not one single incumbent should presume the seat is theirs until after the final ballot is counted. Here’s my take on it. My generation, known as “Boomers” (Baby Boomers from the close of WWII, 1945-1960) is the generation currently running the government, industry and the military. We are also the last ones who were taught patriotism and fidelity to God and country before the crippling events of the 1960s. This decade of the 60s nearly undid our nation. For those unfamiliar with these events, here is a recap, although it is not exhaustive: JFK assassinated; LBJ’s Great Society; Vietnam; Race riots in the inner cities; Campus unrest; Hippy movement; MLK assassinated; and RFK assassinated, followed by the Watergate debacle in 1972. We have yet to recover from this time period. I suspect we won’t fully until my generation is fully departed from planet Earth. We were educated by teachers who understood and valued the warp and woof of this nation, and who unashamedly taught “American Exceptionalism” to their students. My generation knows the greatness of this nation. We know that God has blessed our nation from sea to shining sea. We know that it is American love of freedom that has willingly spilled the blood of her sons and daughters so others could know freedom! We know what this country was in the past, and even though we were the rebellious ones a few short decades ago, we don’t like what we see happening now. We realize that the next generations will not have the experiences of a robust and invigorated America to remember. Therefore, we’re the ones who will be going to the polls to vote in November in a show of force to turn our nation back from the brink of disaster; back to her roots; back to the values and ideals that made her a great nation. She can be that great nation again! It’s an exciting day to live in America! Vote! It is a right paid for by the blood of patriots. The United States Marine Corps will be celebrating its 235th birthday in a few weeks. The birthday of the Corps is a big deal to all Marines, whether active duty, reserve, retired, or former, as in my case. No truer words were ever spoken: “Once a Marine – Always a Marine!” On November 10th each year Marines congregate in small, private groups or in large, boisterous gatherings to lift a glass in honor of the Marine Corps, retelling the glorious acts of heroism that built the lore and legacy of this elite fighting force. 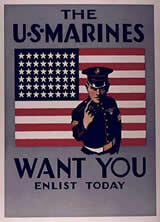 I admit, I am a dyed-in-the-wool Marine. I have a mouse pad for my computer in the church office that reads: “And on the 8th day God created Marines!” It is somewhat irreverent, I suppose, for a “man of the cloth,” I know, but Marines understand the sentiment behind the words. So, I’m reading through my accumulation of e-mails earlier this week and notice a story that announces that the current administration is taking active steps to eliminate the Marine Corps. What! Not again! This is hardly the first time the Marine Corps has faced the challenge for its own existence. When Congress historically mismanages the funds entrusted by “We the People,” these elected officials panic and look for places they can either grab more money (like Social Security! ), or cut funded budget projects, such as the Defense Department. At the end of WWI, WWII, and Vietnam, the Defense Department was seriously cut back to the degree that when a new threat loomed on the horizon, we were not militarily prepared to take it on. A military force, by any definition, is costly. In today’s tenuous atmosphere of eggshell-walking amongst nations, the threat of war and nuclear attack is all too real. The assumption that is made regarding a force like the Marine Corps is that with all the advances in modern warfare and the technological intricacies required, a knuckle-dragging, gun-toting, combat force is probably no longer a requirement on the battlefields of the 21st Century. This mistake has been made before. As long as nations find it necessary to engage in war, you will always need those who kick in doors and do the dirty work required to subdue a recalcitrant enemy. There’s nothing quite like looking into the business end of a fully-loaded M16 gun barrel to convince the enemy that resistance is futile. Saddam Hussein learned that lesson up close and personal! An LA Times article last month spurred this story into the news, causing a renewed battle between left and right-leaning ideologues over the questionable future of the Marine Corps. “Defense Secretary Gates is ordering a review of the future role of the Marine Corps amid ‘anxiety’ the wars in Iraq and Afghanistan had turned the service into a ‘second land army,’” so said the LA Times. Different national leaders in the past, both political and military, have made serious efforts to have the Marine Corps eliminated. Most of the time these efforts were made by the heads of other service branches, who were jealous, threatened or both, by the mere presence of the Marine Corps. Let me be very clear on this point: No other branch of our military service can do what the Marines do. There is a humorous bumper sticker about the Marines that is also very true: “When it absolutely, positively must be destroyed overnight: U.S. Marines” says it all. Why? Because the Marines are trained to be quick responders. When the call comes in to saddle up and ship out, Marines do it in a matter of hours. They want to go! They like it! This is what they train endless hours for. The other branches take days, if not weeks to respond with a force ready to engage the enemy. Another reason we need a Marine Corps: Our enemies are terrified of having to fight Marines. This is not an exaggeration. There are plenty of documented remarks by former enemy leaders who have attested to this truth. Marines get it done, and they do it better than anyone else. And the final reason we need the Marine Corps? The dress blue uniform! They are the best ever – no argument. Oorah! God bless the United States of America! And God bless the Marine Corps! Why not contact your Congressmen and let them know what you think about the Marine Corps? There is only one logical (or should I say, illogical) reason I can draw from this foolishness. The man wants his fifteen minutes of fame. Well, he’s certainly gotten it! The media continues to refer to this man as Pastor Terry Jones. Fine. But the question that came to my mind when I first heard this story about a minister in Florida threatening to burn copies of the Muslim holy book, the Koran, Saturday, September 11, was, “What Christian church is he part of?” It didn’t take long to find out. This whole story smacks of another minister by the name of Jones – Jim Jones – thirty-three years ago with the ghastly deaths of 914 church members from San Francisco’s, The Peoples Temple, who drank the cyanide-laced Kool-Aid. Who can ever forget the gruesome pictures of the bloated bodies of men, women and children in the Jonestown compound in Guyana? On the cover of the next issue of Time magazine following this unnecessary tragedy, the headline said it all: Cult of Death! Here’s the point I wish to make in all of this. Whether it’s Jim Jones, Charles Manson, David Koresh, or Terry Jones, they have each exhibited the classic signs of being militantly “cultish.” It is a disservice to suggest that this man, Terry Jones, is godly, or that he in any way, shape, or form represents Christ and his church. I was reading the comments of one religion writer, David Gibson of Politics Daily (http://www.politicsdaily.com/), who suggested that Jones is typical of the conservative religious right. What? Gibson says, “Now these conservative Christians are front and center in politics and in some of the sharper clashes of the culture wars. A few congregations, like the Dove Center (Jones’s church) . . ., are considered fringe elements. But they follow in some of the same patterns as their mainstream brethren, only more so.” The pattern he offers is the belief in the doctrine of “End Times,” a core tenet of all biblical teaching - that Jesus is coming back one day at which time he will close the door on the history of man. What are the signs of a cult? Here are six taken from one web site on the topic. There are more according to some authorities, but these six sum up the problem well enough. 1) Every cult has a single powerful human leader. 2) The cult leader’s word, or the teachings of the cult, becomes absolute truth, overshadowing the Word of God. 3) Each cult uses force to coerce its members into submission. 4) Each cult leader will teach a Jesus that is not found in the Scriptures. 5) A cult will teach a gospel of “good works” in place of the Gospel of Jesus Christ. And, 6) Cults often urge their converts to leave their families. Some basic instruction from the Bible would resolve this issue if Jones was simply willing to accept the teachings of the real Jesus. “Love one another. As I have loved you, so you must love one another. By this all men will know that you are my disciples, if you love one another.” And then Jesus gives this instruction regarding treatment of enemies. “Love your enemies and pray for those who persecute you . . .” Jesus never once called for violence against other religions, its people, their beliefs or practices, or even for the destruction of their religious icons and idols. To hate comes easily. To love requires a commitment – a commitment to the One who loved us first! Only then can we love as Jesus loves.